There are days that I would love to have another baby. I mean we have cute kids and it would be a lot of fun to add more laughter to our family. Then reality kicks me in the rear. I think about being up all night with an infant, diaper changes, and the cost. No, two kids is perfect for our family – we are complete! Of course, I love making things and putting together gifts for new babies. When my life long friend told everyone that she was pregnant, I waited to find out if she was expecting a boy or a girl. The evening that she announced that it would be a little boy, I ran out to the store to get supplies. I had a mission to start a baby blanket for her little one. This was THE baby blanket that created baby blanket envy with my boys. In the end the blanket was finished and ready to be part of a present for Baby Z. Of course, I can not knit a baby blanket for every gift that we need. Here’s another baby gift that we recently gave. You can see some of my knitted wash cloths, along with some other items that the boys require us to include. Yes, we must have a buddy, and rubber duck for bath time. Plus, I think it is nice to toss in some baby wash since you will be using a lot of that with a new born. What do you like to give as a gift for a new baby and why? Pssst . . . if you knit or crochet – I am on Ravelry and have more photos of my items on there. I am a fan of giving baskets for anything I can. Weddings, baby showers, etc. I once gave a ‘junk drawer’ for a wedding present. It was pretty neat and the couple loved it. I fill them with things you usually need but never remember to buy. For the baby I try and use baskets that will look cute in the baby room and if they have a list I get the smaller stuff and shove it all together and wrap it up with a cute bow. They have proven to be very popular. I have even been asked “hey where is my basket” if I choose something else. All in good fun of course. p.s love your blankets, and wash cloths! It’s been a while that anyone within our family/friend circle has had a baby but am sure that will change soon, since we have been attending a lot of weddings lately. Years ago I used to give saving bonds but don’t even know if they are worth anything now. I will be checking back for ideas. It’s probably boring but I always like to give diapers and wipes because that’s something you can never get enough of. Love your blanket…I wish I knew how to knit. It’s on my list of things to do someday. I would love to give baby blankets but I am such a slow crocheter. Maybe washcloths would work. That blanket is beautiful! Personally, I like to give the new parents dinner, if possible, and diapers – always very welcome! Depending on who it is gift cards or aden and anais swaddle blankets(they are the best)!! But I love the handmade blanket that was made for Alex!! MSRheinlander´s last blog post ..Our Wedding Anniversary! I always put together a basket or bin full of goodies. I know they can reuse the bin/basket for toys and other baby items and then I fill it with the things i know they will use- gas medicine, a cute outfit or two, bath wash, diapers in a bigger size since they will get bombed with Newborn and size1 diapers, and anything else I think of or find on sale. :) I love getting baby gifts! 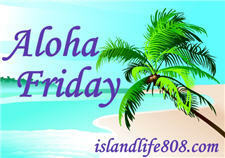 Roxanne D.´s last blog post ..Aloha Friday : Question Of The Week Link-Up! I love the excuse to head to TJMaxx and check out the baby department for basket kinds of goodies. I design t-shirts including baby onesies, so I always give them one of my onesies (usually a “tantrum zone” one, which always brings some laughs at showers). And I love getting those little toys with straps to hang off the car seat carrier (those were great…they’re good for hanging off strollers too–something they can’t toss and loose!). And Walmart Brand newborn cloth baby wipes…not because I’m trying to be cheap but because those are actually better quality than some of the other more expensive wipes, and I like to clue new parents in to that. If it’s not their first child, I change it up a bit. My sister and law got us two O-Balls. They are a real ALL AGE toy…something my older kids liked playing with their baby brother with. I’d get that…and the board book “Oh David” which my two oldest both loved when one was 3 and the other 1. The one year old liked the funny colorful pictures. The 3 year old giggled at every page and said “That’s like Kyle (his little brother).” So I give that out to parents with the same aged kids. Gale´s last blog post ..Sales and Coupons – Ending Soon! PS: Heard about having to cancel your trip for Irene. So sorry! Hope you’ll be able to reschedule soon! I want another baby like last year! We really need to get going! Gifts for a baby. Diapers and coupons for diapers and GC for diapers and more diapers. Usually I just go off their registry – most of the time I don’t have enough brain energy to get super creative! LOL! If they don’t have a registry, then I’m all about gift cards. Well, we are definitely not up for another baby right now. :) I believe we too are complete but you never know. As for baby gifts. I do like to make things when I can. I often make those cute taggie blankets since my kids have always really liked those. I also tend to give a package of diapers or some baby wash and shampoo. I try to give things that are needed and often not thought of – baby spoons, baby wipes, etc.